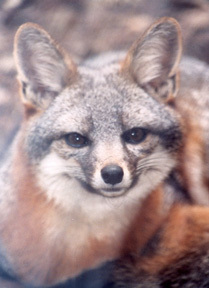 Vaccinate an island fox against rabies or canine distemper. 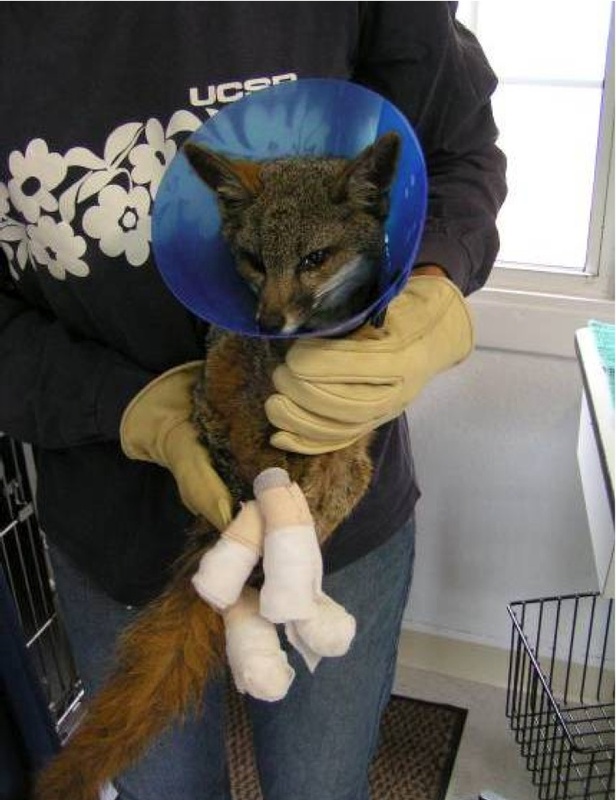 From 1998-2000 Catalina Island foxes declined by 90% because of an outbreak of introduced canine distemper. 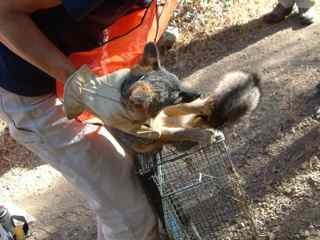 Annual vaccinations are vital to protecting island foxes. Provide an ID microchip, also known as a Passive Integrated Transponder (PIT tag). A microchip placed under the skin provides individual identification for life. Biologists can instantly identify foxes in need of a health check or vaccination and reduce handling time. Microchips also enable the collection of vital life-history data. 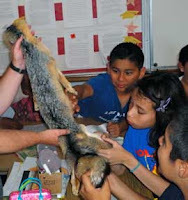 $60 can provide an Education Program to school children who might otherwise never have the opportunity to learn about our local island fox or to a classroom of students before they travel to the Channel Islands. Informed students are more likely to value local wildlife. They treat island foxes with respect, secure their human food, and are more likely to have a positive impact on the island fox during their visit. 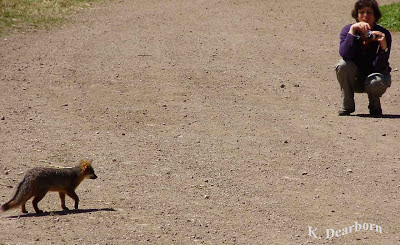 Radio-tracking collars help biologists monitor individual foxes and their welfare. The ability to quickly find injured or deceased island foxes helps biologists identify threats to other island foxes and allows everyone to act quickly to protect entire island fox populations. 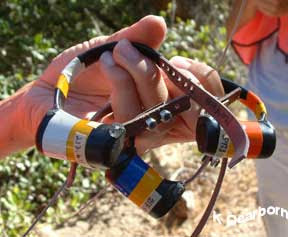 $220 can refurbish a used radio-tracking collar and make it functional again. Each year FIF is looking to refurbish 20-40 radio collars. 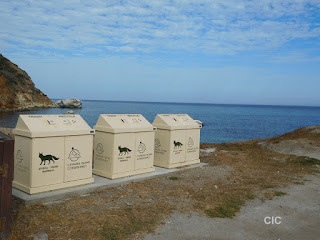 There is a special need right now to raise $2,500 to install a "Fox Saver" bin at a roadside location just outside of Avalon. 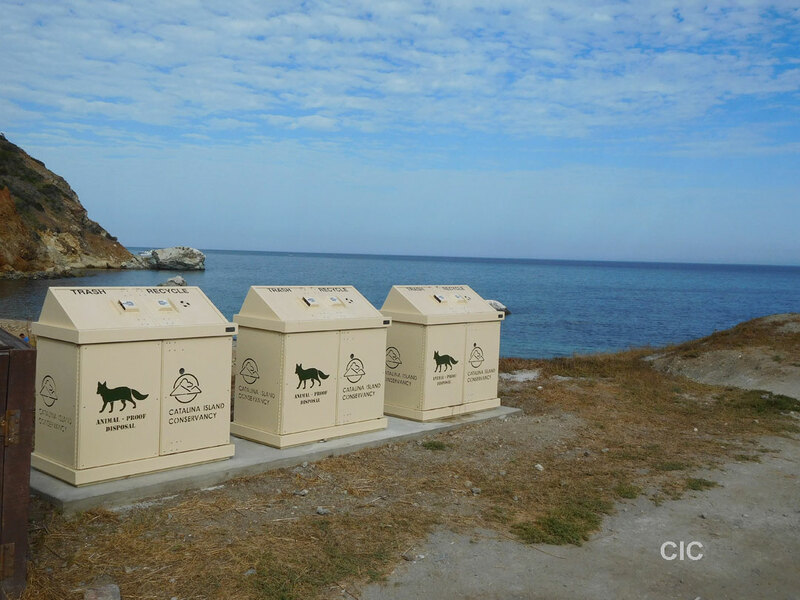 Island fox lives will be saved with this new bin. Vaccinate your pets for rabies, canine distemper or feline Panleukopenia. Vaccinating your pets protects pets and wildlife from these deadly diseases. 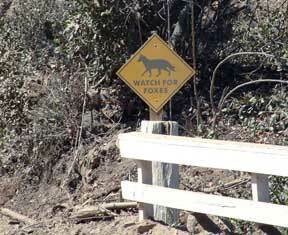 Reduce your carbon footprint - drought caused by global warming decreases natural food for island foxes. Keep plastics and toxic liquids out of gutters, storm drains, and streams. Our waterways drain to the sea, a polluted ocean impacts the Channel Island ecosystem. 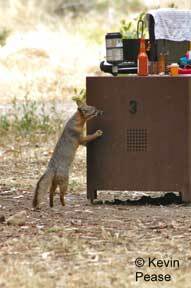 When visiting the Channel Islands store human food out of island fox reach and remove all trash - keep the islands clean and safe for island foxes. 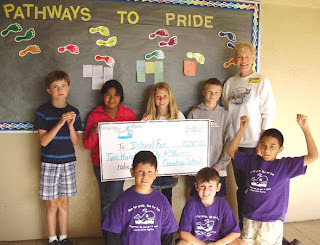 Your class, club, grade or school can become Island Fox Ambassadors. An FIF educator will come and give a presentation to your school or organization. We will work with your group to help students design their own service-learning project to participate in island fox conservation efforts and to educate their friends, schoolmates, families and/or community about the island fox. One student can make a difference for the island fox (Hannah’s Story) and a school working together can have a powerful impact (Island Fox Ambassadors). 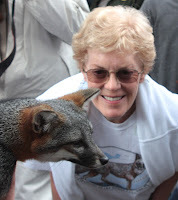 FIF sells t-shirts and sweatshirts with the Friends of the Island Fox logo. Contact merchandise@islandfox.org for more information. Help Friends of the Island Fox grow and expand our efforts to save the endangered island fox. Volunteers assist our educators at school visits, community talks, and help staff booths at local events. Contact us at admin@islandfox.org for more information, or call (805) 228-4123. Keep up-to-date with island fox and Channel Island news. We invite you to sign up for our bimonthly e-newsletter. Also, follow us on Twitter @ifoxtweet and find us on Facebook.